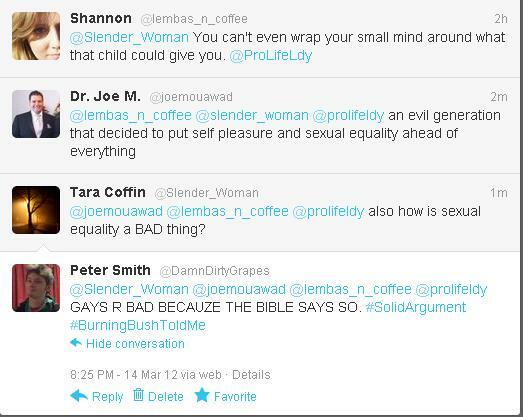 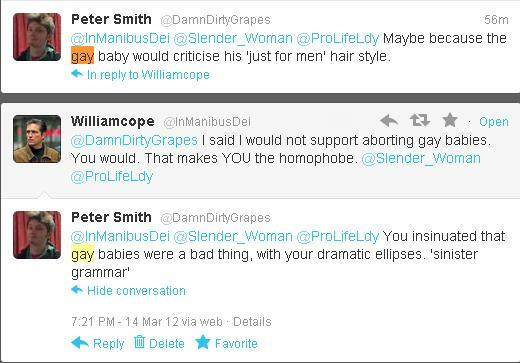 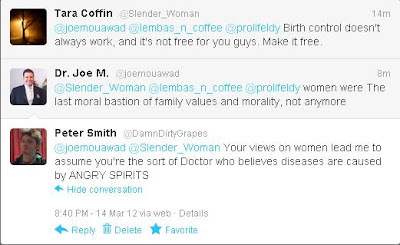 Cavalcade of Cynicism: My friendly conversation with some homophobic misogynistic pro life nutcases. 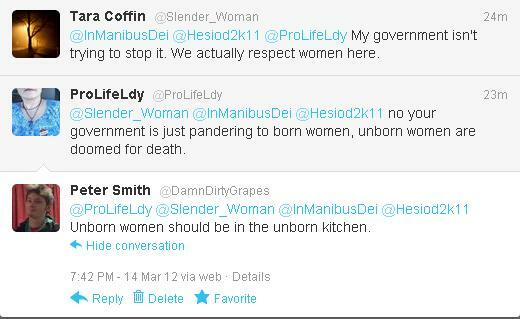 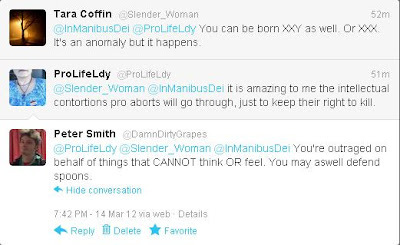 My friendly conversation with some homophobic misogynistic pro life nutcases. 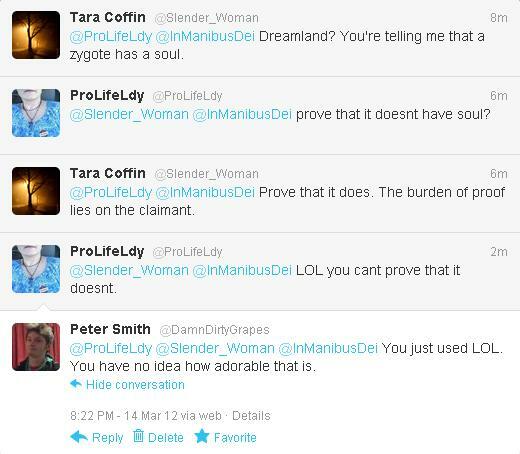 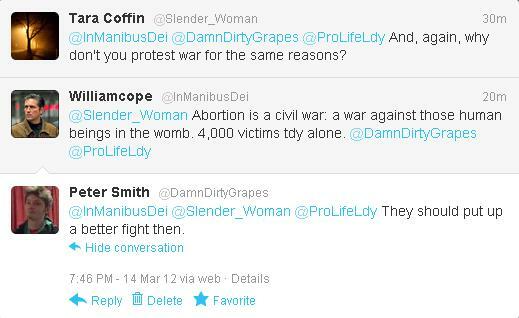 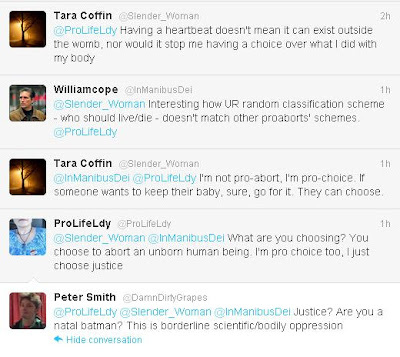 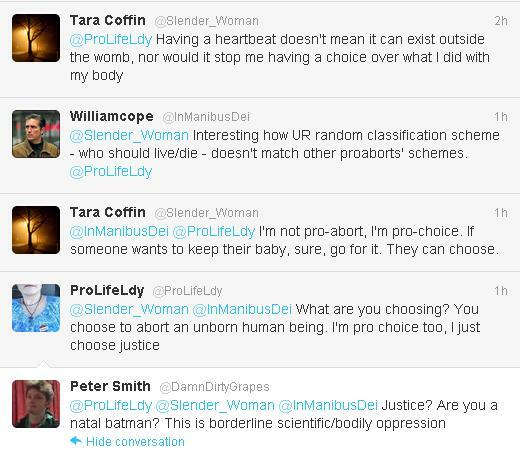 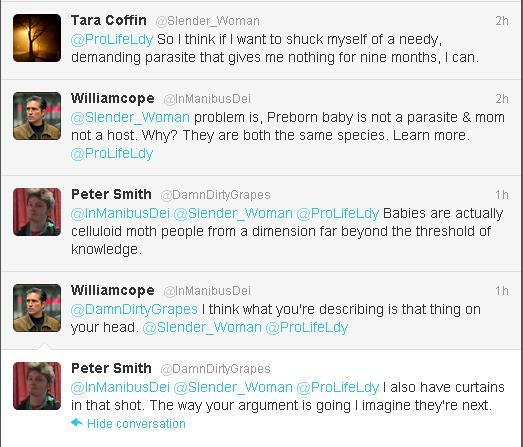 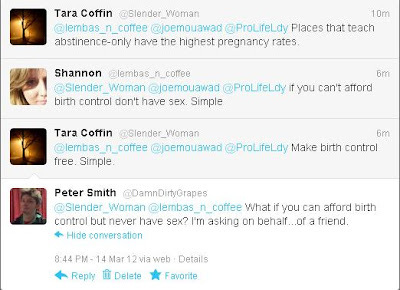 My friend Tara was involved in an argument over Twitter with some pro-life nutcases. They were the standard misogynist/sexist/homophobic morons who couldn't give any semblance of a decent argument. 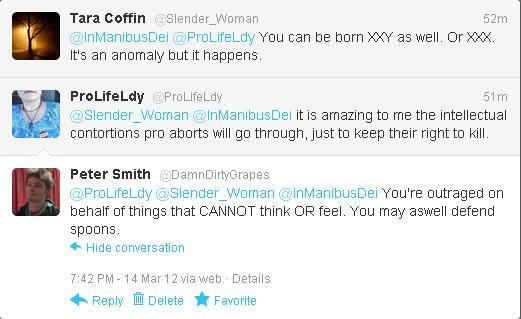 I decided to fight ridiculous fire with ridiculous fire by just giving inane stupid replies to them. 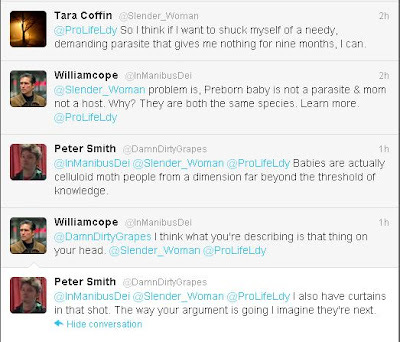 Here are 18 snippets of this 'debate'. Romeo and Juliet re-enacted with food. 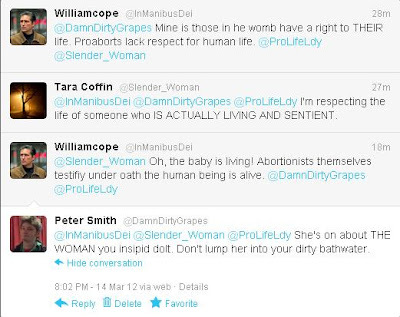 Between a Rock and...a social metaphor.